I am experienced. Do I really need to start at the beginning? When will I feel the effects? Does InnaPeace use subliminal affirmations? What if I need to proceed slower than the recommended time line? I'm an experienced meditator. How can this help me? I'm new to meditation. What do I have to learn? How will I fit this in to my crazy busy schedule? Can I do other things while I listen? Do I need to sit in the lotus position on the hard ground with my eyes closed? What can meditation with InnaPeace do for me? What is the biggest benefit of meditation? Brainwave entrainment isn't real meditation! Isn't this cheating? If I don't hear the entrainment waves, does that mean they're not working? What if my hearing isn't great? I've heard that brainwave entrainment doesn't work as an MP3. Is this true? What sets InnaPeace apart and why should I choose it? 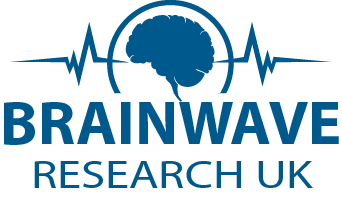 What is the main benefit of brainwave entrainment? What is InnaPeace audio technology? Can I play InnaPeace on my iPod, iPhone or other MP3 player? What if I need help or I have more questions? Can InnaPeace help me manifest the life I desire? How to set graphic equalizers on windows media player? Are my headphone frequency settings suitable? I unsubscribed from your e-mailing list by mistake, how do I reverse this?